As the pace of life ratchets up, we see many of our customers transforming their homes into a peaceful haven. 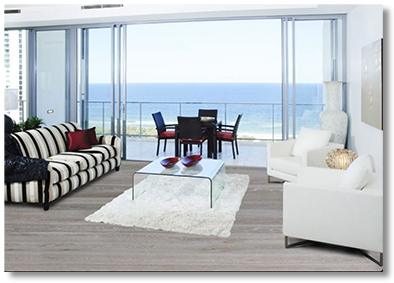 Neutral colors and earthy materials are incorporated into interior design to provide a sense of calm and serenity. And when it comes to the flooring for your sanctuary, whatever the material, the common theme is "back to nature": natural looking materials, colors and tones found in nature, and organic textures. 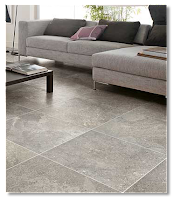 With chameleon-like ease, today's HD printed porcelain tile flooring can superbly mimic the look of a number of other materials. HD, or high definition, printing is a revolutionary production method that provides far greater detail in the printed image and almost eliminates the problem of the pattern repeating from tile to tile. Utilizing HD technology, porcelain tile can now be printed with striking colors and textures that beautifully replicate the look of many natural products such as marble, natural stone, wood, brick, and even concrete. 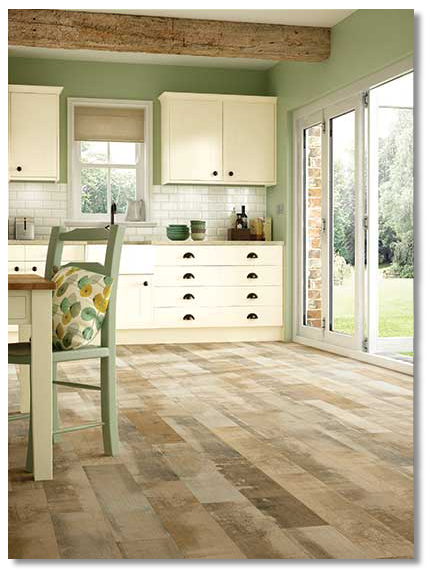 Large format tile is trending in a big way. Whether it's wood-look planks or large slabs that take on the look of poured concrete, larger tile is gaining popularity for its sophisticated look and ease of maintenance over smaller tile formats with a lot of grout lines to clean. 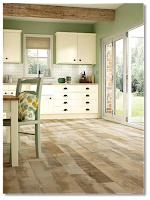 Similar to the trend in large format tile, bigger wood planks are opening up a whole new array of design options. 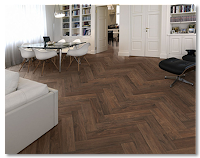 With widths increasing to 6", 7" or even 8", longer planks visually open up a space and can make a statement that is stylishly contemporary, or authentic and rustic, depending on the colors and finishes incorporated. The trending colors for wood flooring are moving away from the reds and mid-tones to floors that are either very light or very dark. 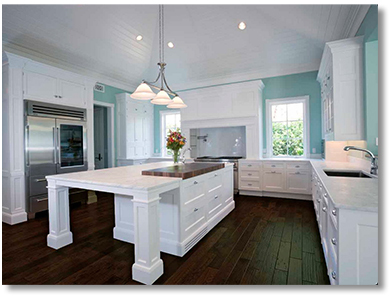 Very dark stains on wood floors are in high demand for customers who want to add drama and elegance to their space. From warmer dark browns to rich ebonies, dark stains on wood flooring provide a stunning backdrop for lighter décor in the rest of the room. 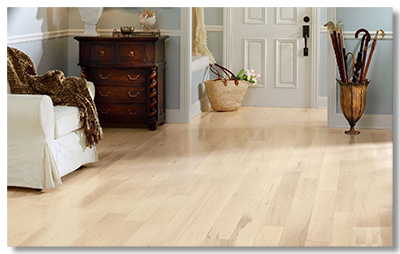 With the current popularity of gray in home décor, whitewashed wood flooring is making a big comeback. Whitewashed flooring can evoke the appearance of a high-end beach resort, or add a vintage look when used with reclaimed or distressed wood. Gray flooring is another very popular option. Dubbed "the new neutral," gray flooring is versatile and can be a great background for a wide range of interior design styles. Global Sales from these great manufacturers. Natural stone tiles and pavers are both durable and sophisticated. The unique colors and finishes of natural stone are on-point with today's trends toward creating a peaceful refuge from life's hustle and bustle. 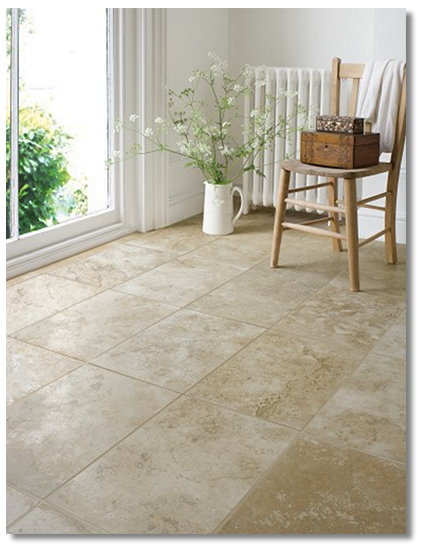 Natural stone flooring is a beautiful and durable upgrade for any home. Jeff Collins and Andrew Failla discuss the many stone flooring options available at Global Sales. Find the style that's right for your home. Contact one of our flooring experts at Global Sales and let us help you get what you need for your next project.